Hello! And welcome to the 489th Digital Photography Review newsletter. I write this from an almost empty office, on a rainy day in Seattle as another year shudders to a soggy close. Tomorrow is Christmas eve, and I don't know about you, but I'm looking forward to a rest, if only to finally shake off this cold that I've had since October. Towards the end of December, we start to do two things. Look back on everything that happened over the past few months, and look ahead to what's coming up next year. The past twelve months have been incredibly busy here at dpreview. A lot of the work has been behind the scene on site improvements, but some of it has been very public. Almost 40 camera reviews (which I'm constantly being told we 'don't do anymore'), countless detailed first-impressions articles about new cameras and lenses, nine lens reviews (with another on the way before the end of the year) plus a totally revamped buying guide section of the site with seventeen (so far) detailed articles to help you choose the best gear for your needs... the list is long and I'm incredibly proud of the team of writers and developers that have made it all possible. Let's not forget either that over the summer we launched our own online store - GearShop.dpreview.com (US-only for now but watch this space), and earlier this month we produced our first ever day of live broadcasting in association with creativeLIVE. Phew! Let's take a look at last week's content highlights. There were many great cameras and lenses released in 2013, but which were the best? You can have your say now in our end of year readers polls. We've shortlisted standout cameras in four categories, plus another one for lenses and summarized their key selling points, but now it's over to you. Click the link below to see this year's polls and cast your vote! 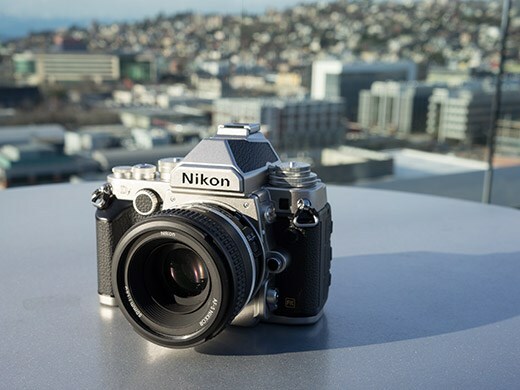 The Nikon Df is, at first appearance, the camera many people have been wanting for years - a classically styled DSLR with traditional external controls. Much of what's under the Df's retro skin is pretty familiar. The Df inherits the 16MP full-frame sensor from the flagship D4, and borrows a 39-point AF system from the enthusiast D610 But does the Df bring together the best of the old and the new for a compelling shooting experience? Let's find out! How? Why, by reading out full review of course! The Panasonic Lumix DMC-GM1 puts the 'Micro' in Micro Four Thirds as the smallest model in that class, with a 16MP Four Thirds sensor and a collapsible 12-32mm F3.5-5.6 kit lens. 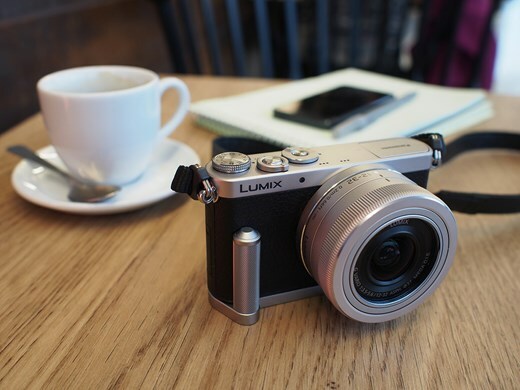 It offers many of the same features as its big brother the Lumix GX7, starting with the sensor, but in a much smaller package. See how it measures up in our full review. Fujifilm has announced the XF 10-24mm F4 R OIS, a premium ultra-wideangle zoom lens for the company's X system mirrorless cameras. It offers an angle of view equivalent to 15-36mm on full frame, and incorporates optical image stabilization to reduce blur at slow shutter speeds when shooting hand-held. It also has an aperture control ring on the barrel, and is compatible with the company's Lens Modulation Optimizer function. It'll be available from March 2014 for $999.95 / £849.99. There's plenty on the way, including a full review of the new AF-S Nikkor 58mm F1.4 G, which we're hoping to get out before the end of this month, and of course we'll also be gearing up for the 2014 Consumer Electronics Show in Last Vegas, which takes place in early January. It's a good bet that we'll see plenty of new products announced at and slightly before the show, so keep an eye on our site in the first week of January. Also in early January we'll be posting our full review of the Sony a7 and a7R, and announcing a final readers' poll, pitting the winners of our five current polls against one another to find the best overall product of 2013. If you haven't voted yet in the five categories, what are you waiting for? Thanks for reading, Merry Christmas, and a very happy New Year from everyone here at dpreview.com. New from GearShop: Whether you're deciding what to buy, or how to get the most out of the gear you already own, we hope you'll learn something from our on-going informational video series. Today we've added five new tutorial videos to our YouTube channel! This time, professional photographer Ryan Phillips tackles new topics, like the benefits of shooting with mirrorless cameras, why you should invest in a fast lens, how to choose a small camera, and more. Subscribe to our channel so you can be sure to see all of the new video content as soon as we add it. This week's best deals: All Sony NEX mirrorless cameras on sale, from the a3000 to the NEX-7: Save $100 or more. Every Canon DSLR has significant instant savings, from the entry-level Rebels to the professional quality of the 5D Mark III or 1-D X, now until January 4th. We've got some incredible prices on popular compact cameras, too. For under $200, you can get the travel zoom Panasonic Lumix ZS20 or the pocket enthusiast Fujifilm XF1. Samyang has announced that, as promised in October, five of its full frame lenses are now available in Sony E-mount, and are therefore the first third-party optics with native mounts for the Sony A7 and A7R. The lenses are the 14mm F2.8, 24mm F1.4, 24mm F3.5 tilt-and-shift, 35mm F1.4, and 85mm F1.4. All feature manual focus and aperture operation and, because they're essentially SLR lenses with an adapter tube added, all are considerably more bulky than their Alpha mount counterparts. Click through for more information and images of the E-mount lenses. From gadgets that promise to make timelapse photography easier to a lens that will let your smartphone camera see in the dark, Kickstarter is brimming with interesting ideas from some forward-thinking developers. We take a look at a few aimed at photographers. Learn more on connect.dpreview.com. We've added DxOMark Mobile's report to our camera review of the LG G2 smartphone. The report includes DxO Lab's usual industrial-quality scientific measurements. Their imaging experts analyzed 14 aspects of mobile imaging, including detailed image quality assessment, flash performance, autofocus reliability and more to calculate a final score. See their results on connect.dpreview.com. Fujifilm has announced the XF 10-24mm F4 R OIS, a premium ultra-wideangle zoom lens for the company's X system mirrorless cameras. It offers an angle of view equivalent to 15-36mm on full frame, and incorporates optical image stabilisation to reduce blur at slow shutter speeds when shooting hand-held. It also has an aperture control ring on the barrel, and is compatible with the company's Lens Modulation Optimizer function. It'll be available from March 2014 for $999.95 / £849.99. 2013 was a busy year for high-end compact cameras, which saw everything from iterative updates to established lines to brand new options from manufacturers entering this market segment. We've used almost all of them, reviewed a few, and in the process we've taken thousands of pictures and formed plenty of opinions. But now it's your turn - what was the best enthusiast compact camera of 2013? Click through for our selection, and a chance to cast your vote. Sony has announced firmware upgrades that enhance the features of its QX-series 'lens-style' cameras, which clip on to the front of your smartphone. The update adds Full HD video recording and an expanded ISO range for both the QX10 and QX100, while the latter also receives a shutter priority mode. Sony's latest PlayMemories Mobile app has more seamless photo browsing and dramatically improved performance on iOS devices. Click through for more. As Pics.io continues its efforts to launch browser-based photo editing tools — with support for Raw files — and online storage, the first of its services is available now, for free. Pics.io's Ukrainian developers have rolled out both Live.pics.io, collaborative online photo sharing, and raw.pics.io, an online Raw file converter. Learn more at connect.dpreview.com. Our friend Jared Polin over at Fro Knows Photo is running a holiday season promotion on his latest video guide, FroKnowsPhoto Flash Guide. Until the end of the year you'll be able to buy the instant digital download version for just $57. Not bad for three hours of practical advice on flash photography delivered in the Fro's inimitable style. A great many new products were released this year, and we've published in-depth content on plenty of them, full reviews of many and we've got plenty of opinions on all of them. 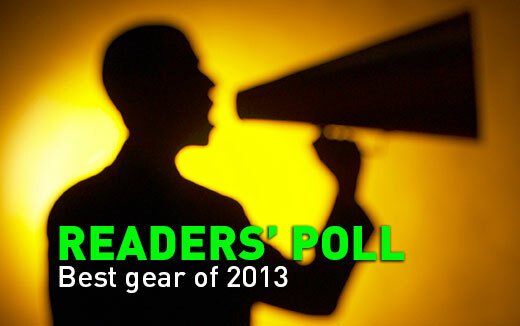 This is your chance to have your day - which was the best gear of 2013? Click through to see our five readers' polls, and cast your vote!